One of the premier IOR race boats of the late 1970's, CHARISMA II has been cruising the waters of Hawaii and Tahiti for the last decade. 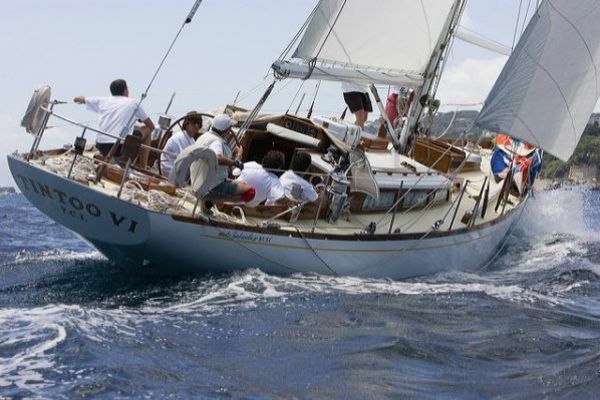 Built by the famous Minneford's Yacht Yard of City Island, New York, builder of the first aluminum 12 Meter and countless other wooden and aluminum yachts, she is very well constructed, using the finest materials and craftsmanship. She is in excellent condition with much of her original, custom hardware. Only her solar panels and dodgers are on deck concessions to cruising. The interior designed to house a large racing crew, dates from before the stripped out era and provides very comfortable accommodations for cruising. Lovingly maintained by a caring owner, she is ready for her next adventure. United Yacht Sales New Jersey would love to guide you through a personal showing of this 54' Sparkman & Stephens Aluminum Sloop 1975. 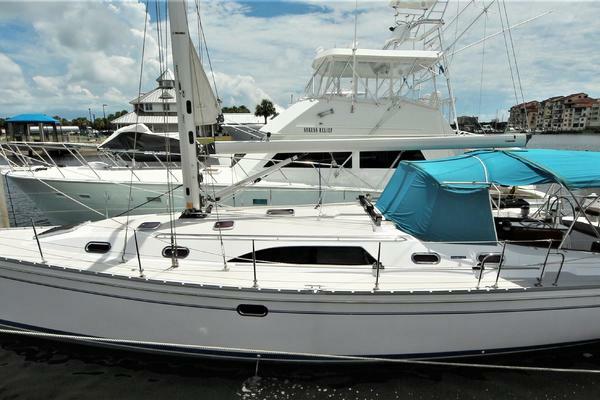 This yacht for sale is located in Honolulu, Hawaii and priced at $225,000. For a showing please contact us by filling out the form on this page and we will get back to you shortly! The interior is still like the enclosed drawing except the engine is now located under the aft companionway, the two berths opposite the galley have been converted to a settee and table and there is only one berth on the port side in the the main salon. The aft cabin has a large quarter berth on either side with the Nav Station forward to starboard and the the head to port. Next forward through the port passageway is the main companion way with large sail/storage bins on either side. The galley is to starboard with an athwartships gimballed propane stove and a large refrigerator/freezer on the center line. The main salon has upper land lower berths to starboard and a single berth to port. Built for offshore racing, the berths are deep and the U shaped galley make her terrific for offshore passage making, while her white walls and overhead, varnished teak lockers and ceiling slats along the hull and the teak and holly cabin sole make her interior warmer and more comfortable than one would expect in a race boat. L and M Stamping 4 burner Stainless stove w/oven Refrigeration/freezer 110v and engine driven Additional 12 volt freezer plate Double sink H/C pressure water Lots of storage. The deck also remains much the same as when she was built except for the dodgers and solar panels that were added to improve cruising life. The big main hatch was originally designed as a secure place to tail the two main pedestal winches, but now affords great access and air to the cabin below. The custom hardware and winches date from 1975, but have been well maintained over the years and are in good working condition.